Structural characterization and study of the properties of advanced structural and functional materials and interfaces in micro- and nano-meter scale is the pillar of modern materials sciences. Unlike other institutes in the department, which are dedicate the study to a category of materials (e.g., metals, ceramics, polymers etc.) or functions (e.g., energy-related materials), our institute is founded on the back bone of advanced electron microscopy and expanding to other methods including optical and X-rays. 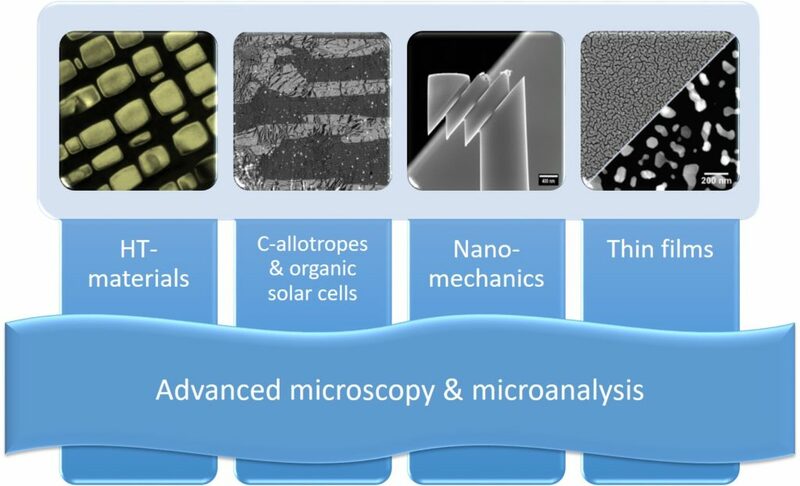 Hosting the state-or-the-art microscopy facilities, flexible holders suitable to carry out experiments in-situ with various stimulus, and versatile preparation methods available, our study covers a wide spectrum of materials spanning from inorganic to organic, from metals to semiconductors. The goal of our work is to achieve a quantitative understanding of the correlation between fabrication and materials structure on one hand and between materials structure and materials properties on the other hand. Currently we are focusing on the study of thin film systems, cabon allotropes, high-temperature materials as well as nano-mechanics.